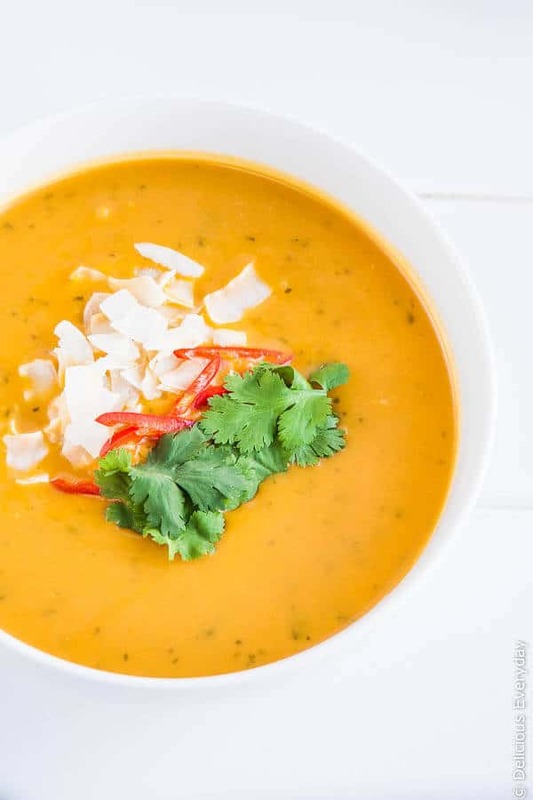 Thai Pumpkin Soup with coconut milk is the ultimate winter warmer. 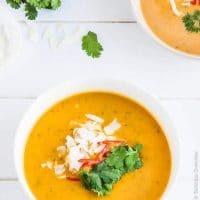 Serve this fragrant soup with a swirl of coconut milk and fresh coriander (cilantro) for a fantastic spiced vegan pumpkin soup. Today I’m revisiting (and rephotographing) an old recipe. 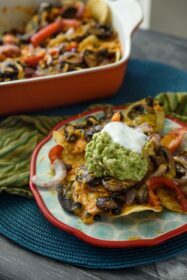 In fact, it is the first time I have revisited an old recipe in 7 years of blogging. Love squash? 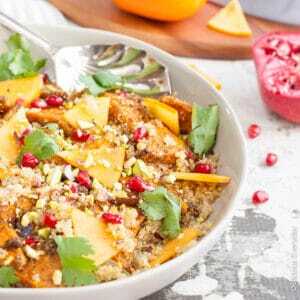 Try my butternut squash, quinoa and persimmon pilaf. I’m starting with a favourite, my Thai Pumpkin Soup with Coconut Milk Recipe. It was one of the earliest recipes I shared and is one I still make regularly. At the first sign of the weather cooling down here in Brisbane, I whip up a batch of this vegan pumpkin soup. It’s a comforting classic with a Thai twist. Ginger adds a lovely gentle warmth to this pumpkin soup with coconut milk and coriander (cilantro) adds a wonderful fragrant depth. 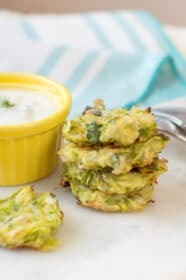 Coconut milk adds a lovely velvety creaminess and richness. I like to serve this delicious Thai pumpkin with a garnish of a few coriander leaves, some finely sliced red chilli (or chilli flakes) and shaved coconut. In lieu of bread, I like to serve a couple of chickpea pancakes on the side. A crusty bread roll is always a welcome favourite too. So tell me, what is your favourite to warm up in winter? I like to use butternut pumpkin (butternut squash to my Northern Hemisphere readers) but feel free to use whatever pumpkin you prefer. Remove the roots and stalky ends from the coriander. Wash the leaves and dry in a salad spinner or paper towel before roughly chopping. Wash the roots and stalks well to remove any dirt clinging to the roots. Shake off any water and finely chop. Heat the oil in a large saucepan over medium-high heat before adding the onion and garlic. Cook until the onion becomes translucent. Add the ginger, lemongrass and coriander roots and stalks. Cook until the stalks become soft before adding the pumpkin. Toss the pumpkin in the oil and cook for 5 minutes. Add the vegetable stock and bring to a boil before reducing the heat to lower. Cook for 30 minutes or until the pumpkin is tender. Remove from heat and allow to cool slightly. Pour the soup into a blender and blend until smooth. Add most of the chopped coriander (cilantro) leaves reserving some to garnish the soup. Blend until the soup is speckled with flecks of green. Return to a clean saucepan and add the coconut milk. I like to only add half the milk, reserving the rest for garnish. 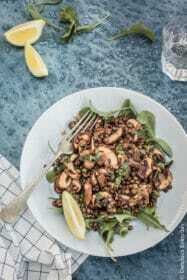 Serve with shaved coconut, the remaining coriander (cilantro) leaves and chilli. Subscribe to the Delicious Everyday weekly newsletter. It’s FREE! As a subscriber bonus, I’ll also send you a free eCookbook with my top 15 recipes! My partner and I made this in Fiji! Fresh lemongrass is difficult to cut small enough. Next time we’ll tie it in a bundle and pull it back out after it’s done cooking. Ours was a little chewy, but my blender isn’t the best. Still had a beautiful floral flavor! We ate it with chilis and boiled taro root! Of course, we added a little extra fresh coconut milk too. Fiji has always been on my bucket list! Glad you enjoyed the recipe. Mmmm Sounds and looks delicious! Pumpkin soup is one of my favourite winter warmers! I do love pumpkin soup! We usually do curry powder with ours, but I love the Thai inspiration this one has. And I’m loving the cooler weather! Bring on fluffy socks, movie marathons and soup! Such a gorgeous color of the soup. I love pumpkin any way. Sounds delicious! I could do with a bowl on this cold and rainy day. Looks tasty, & maybe I an even convince my son to try it. I used to have a pumpkin soup recipe that had ginger & orange – that was a delicious combo. How fun to re-do something from so long ago! I am so glad/relieved it’s finally cooling down around here… can’t wait to start making soups again! Thanks @disqus_0MPefAbom8:disqus. I am so happy it is cooling down too. Yay for soup weather! A delightful soup! So comforting and flavourful. 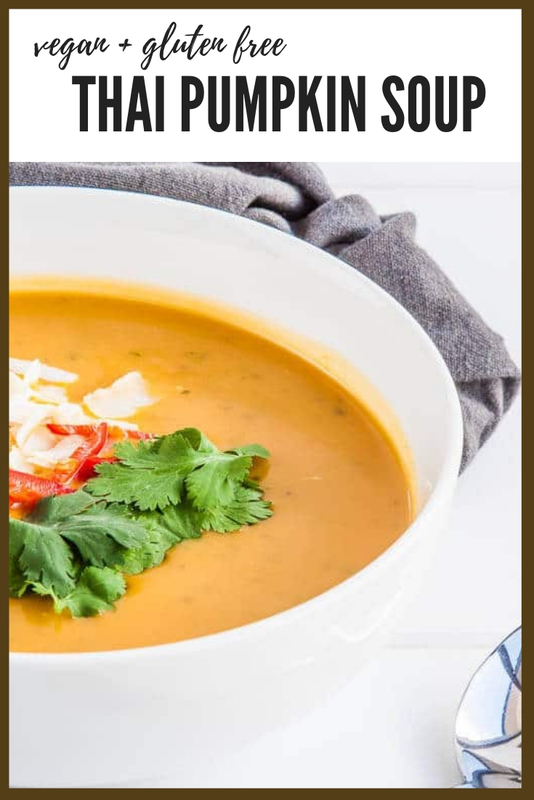 Pumpkin soup is one of my favorite soups, this recipe looks really delicious, can’t wait to try it. I am a food photographer too, love your colours in these images. Thanks for the recipe. I made this last night with 400ml of light coconut milk and it’s sooooo delicious!! Thanks for the feedback Parisa 😀 I’m so glad you enjoyed it. I like your blog. It is very informative and involves a lot hard work to capture those striking pictures . I make Thai pumpkin soup last night. It tastes so much better than the one from can. On top of your recipe I add in minced lemon glass and a dollop of Thai red curry paste into the soup. The soup taste sweet with spiciness left in the mouth. Last time I grated some nutmeg into the soup, however my husband said it add too much sweetness into the soup. I excluded nutmeg this time. I think I am going to make this tomorrow! I really hope you enjoy it branny. I look forward to hearing what you thought of it. Oh my.. This is mouthwatering. The photos are good too. If you wont mind I'd love to guide Foodista readers to your post. Just add the foodista widget to the end of this post so it will appear in the Foodista pages and it's all set, Thanks! Mmmmm, this looks delish. I have fresh cilantro just waiting to be enjoyed. Does it freeze well? Just found your blog, Yeh! I'll be back:) Oh and sorry about the crutches, I was on them for a fractured leg bone years back and it's not so much fun! Hope you heal fast! Thank you so much for your visit and comment on my blog recently! I am so sorry to read about your accident and I hope you heal quickly. I see many delightful soup recipes like this one that I will be happy to have when the weather cools here in the next few months. Lovely photography! Thanks for your lovely comments Susan. You will definitely find a lot of soup recipes on my blog. A big bowl of soup with warm crusty bread during winter is one of my favourite things. I think I had some terrible experience with pumpkin soup as a child, because I've just never been fond of it and have avoided it wherever possible. That was until a couple of months back when I was at a friend's place and she made Thai pumpkin soup as an entrée and I basically inhaled a massive bowl of it. I can't believe what I've been missing out on – shame on me! Haven't gotten around to making it myself yet, but this recipe might be the one for me. I think I had a bad experience with pumpkin soup when I was younger too as I could never eat it, but this soup was delicious. I think the difference, for me anyway was using sweet and nutty butternut pumpkin. 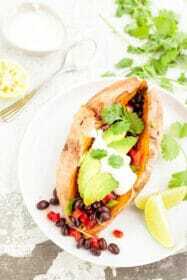 I also think the addition of the ginger and coriander add a wonderful fresh element to it too. I love the Jan Powers farmers markets too. We go to the Powerhouse one regularly (although we didn't go the other week as the crutches would make it difficult). The little pull trolleys are very handy at the markets. We took one last time and it was just so handy. I think I need to learn a little restraint though because the poor trolley was overflowing with all the wonderful purchases. Me too. It's so flavourful and fresh. Thanks Maria. I love the addition of coconut milk in this soup. Our family loved this soup. We didn’t have lemongrass, though, in our local supermarket so we just squeezed a tablespoon plus a little more of a fresh lemon into the garlic/shallot mix. 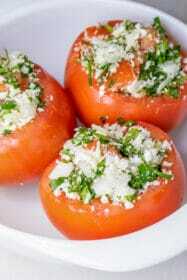 Wonderful with some fresh ground pepper, a tiny pinch of salt, and the basil garnish. I am sorry you are in crutches. My significant other is big accident prone, either he gets burned or cut in kitchen. I am sorry. love the soup recipe, actually good for you too.! Love thai flavors. this soup sounds delicious and comforting. feel better soon! WOW! Great soup! I only used one red chili pepper and it just the right amount of kick. 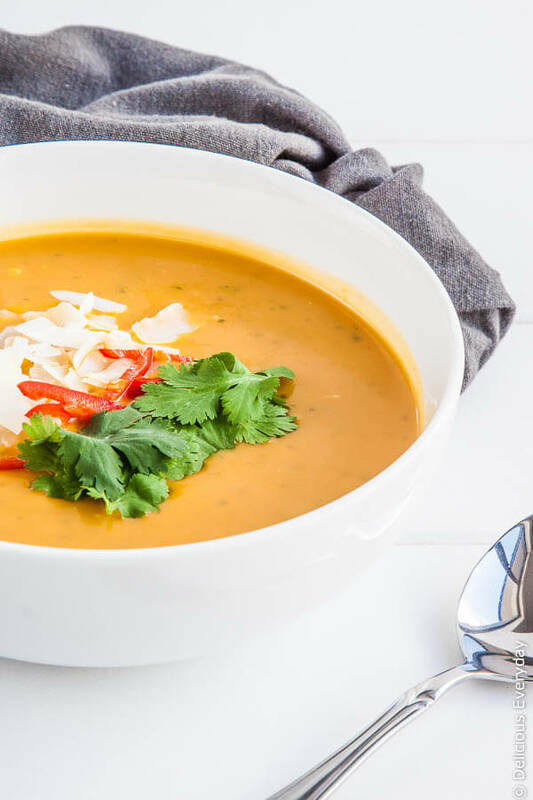 We love pumpkin soup around here and this one is just right for Thai night. Thanks!